What are advocacy coalitions and why do they matter? There are many ways that people relate to their government. People may vote for their formal representatives through elections. Through referendums and initiatives, people can vote directly to shape public policy. More indirect ways include through informal representation via political parties or interest groups and associations. This blog post was originally published on the British Politics and Policy blog run by the London School of Economics and Political Science. In the Hansard Society’s latest Audit of Political Engagement, a record 73% of respondents agree that Westminster’s Parliament is ‘essential to democracy’. Yet within the very same survey, only 32% are satisfied with the way Parliament works and only 28% believe that it encourages public involvement in politics. A number of academic commentators have also cast doubt upon Parliament’s credentials, with some regarding it as ‘either peripheral or totally irrelevant’; and within comparative scholarship, the House of Commons is frequently derided as lacking the clout of its continental counterparts. Guest editors Jenny Phillimore, Nando Sigona and Katharine Tonkiss introduce their forthcoming Special Issue on superdiversity. ‘Super-diversity’ is a concept introduced by anthropologist Steven Vertovec (2007; Meissner and Vertovec 2015) to capture migration-driven demographic complexity and diversification which have emerged over recent decades in London and similar urban centres. While the nature and impact of superdiversity have begun to be interrogated in a wide range of fields and disciplines, the governance of – and development of policy associated with – superdiversity has received little attention. 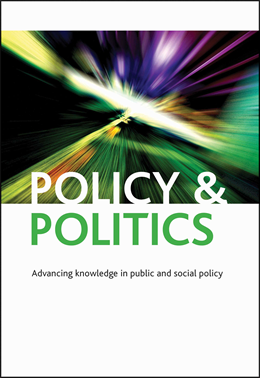 This special issue of Policy and Politics brings together contributions from across Europe in order to begin to address some of the gaps in knowledge around the multi-scalar governance of superdiversity. The first article in our collection, by Hadj-Abdou and Geddes, focuses on the implications of increasing diversity for governance at the European level. Their findings concern the emergence of new policy paradigms associated with diversity at the European level. Interestingly they reveal the radical transformations in policy and governance brought about by processes of diversification in the demos which have often been hidden in studies of European governance. Geldof et al go on to argue that flexible migration strategies emerge in superdiverse urban areas and consider the interplay between transnational practices by migrants and existing institutional responses in the country of residence. Van Breugel and Scholten’s contribution offers a national comparative investigation of how the Netherlands, the UK and France have used mainstreaming to respond to migration-driven transformations in ways that are driven by political and economic motives, rather than considerations of diversity. Ambrosini addresses the changing relations between national and local immigrant policies, and the involvement of civil society in the urban governance of immigration. Medda-Windischer’s piece shifts the analysis to the sub-national level. By examining the multi-layering of ‘old’ and ‘new’ minorities in South Tyrol, she highlights the shortcomings of traditional ways of thinking about the representation of minorities in policymaking processes and highlights the potential of superdiversity to move past some of these limitations. Oliveria and Padilla focus upon the ways in which superdiversity has been used as a marketing tool to highlight the uniqueness of certain places and increase their attractiveness to tourists. Magazzini’s article demonstrates the value of superdiversity as the basis of a model for the governance of minorities. Turning her attention to the Roma populations of Europe, she develops a nuanced and detailed critique of pre-existing models and an analysis of the possibilities presented by a superdiversity-based approach. Pemberton examines the role of urban planning in responding to migration-related superdiversity. Through a focus on Liverpool in the UK, the article highlights the importance of class-based differences above ethnic and cultural differences in shaping the practices of urban planners. Finally, in Jensen’s contribution, the focus shifts to the neighbourhood level where the tension between diversity as a social fact and the neighbourhood as a site of local governance is explored. Collectively, the authors propose a multi-scalar investigation of how local, regional, national and supranational institutions are coming to terms with the rapid and profound transformation of their populations. In doing so, they also contribute to the development of an agenda for future research that considers opportunities and challenges for policy and governance in the age of migration-driven superdiversity. Taken as a whole, the issue suggests paths to pursue and questions that needs further in-depth investigation. It also opens up a space for the encounters between different bodies of scholarship that to date have not yet, or only fleetingly, met. Look out for the special issue forthcoming in October! But until then, each of the individual articles which are already published online, can be found by clicking through the titles above. Jenny Phillimore is Professor of Migration and Superdiversity at the University of Birmingham. 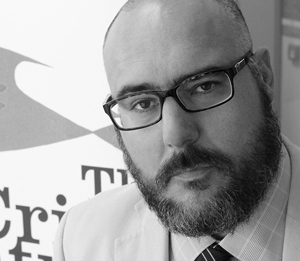 Nando Sigona is Deputy Director of the Institute for Research into Superdiversity (IRiS) at the University of Birmingham and Katharine Tonkiss is a Senior Lecturer in Sociology at Aston University. Policy & Politics Editorial Advisory Board Member Eva Sorensen (Roskilde University) and Co-editor Sarah Ayres (Bristol University) co-chaired a panel on the first session of the 2017 European Consortium for Political Research Conference (ECPR) in Oslo, Norway. The panel drew together a number of international scholars to examine how political leadership is enacted in interactive governance arenas. Gro Sandkjaer Hanssen (Norwegian Institute for Urban and Regional Research) acted as discussant and drew attention to the range of policy and governance theories underpinning the analysis and the benefits of international comparative research.